Buyers appreciate us, because we help them gain enough information about that home to make an informed decision to buy or not to buy. We’ll look it over top to bottom, up and down, inside-out. We’ll tell you about it in ways you can understand and we’ll give you an on-site report so you can use it to your advantage. Sellers appreciate us, because we let them know where the surprises are – the ones they didn’t know about – the ones that might delay or even stop the sale. They can have the items repaired, or price the home more reasonably for QUICK SALE. Wood Destroying Insect Inspections are another inspection service we provide. The builder should pay for what his crews messed up! Right? Let us do an End-of-Warranty Inspection near the end of the one-year warranty period to provide new home owners with a list of problems which they can give to the builder and/or warranty company BEFORE THE WARRANTY EXPIRES. In Texas, the builder is responsible to warrant the materials and workmanship for the first year, but many builders have turned this responsibility over to thrid-party warranty companies. That’s OK for appliances and such, but if there are serious issues in construction, the builder needs to pay to have those fixed. We’ve found some pretty expensive issues. We don’t work for the builder. We work for YOU. Call TODAY (509) 396-4602, to Schedule your End-of-Warranty Inspection. For home inspection services in the Richland Washington area, look to Diamond Willow Home Inspection, LLC. Call us today at 509-521-9959 for immediate service. Click here to take advantage of our online scheduling for your convenience. 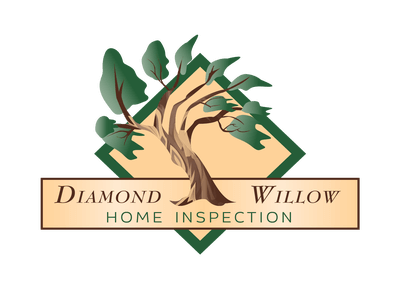 Call Us Today 509-521-9959 To get the most comprehensive home inspection in the Richland Washington area. The industry has continued to evolve with new standards and more advanced technology to confirm the condition of the home. But one thing has remained consistent: our dedication to providing the best Home Inspection solutions.